DVI-D is a digital ONLY connector, the primary difference between Single Link and Dual link is that each supports varying resolution levels. More Product InfoOur 50 foot black DVI-D Single Link cable has DVI-D male ends with thumb screws. 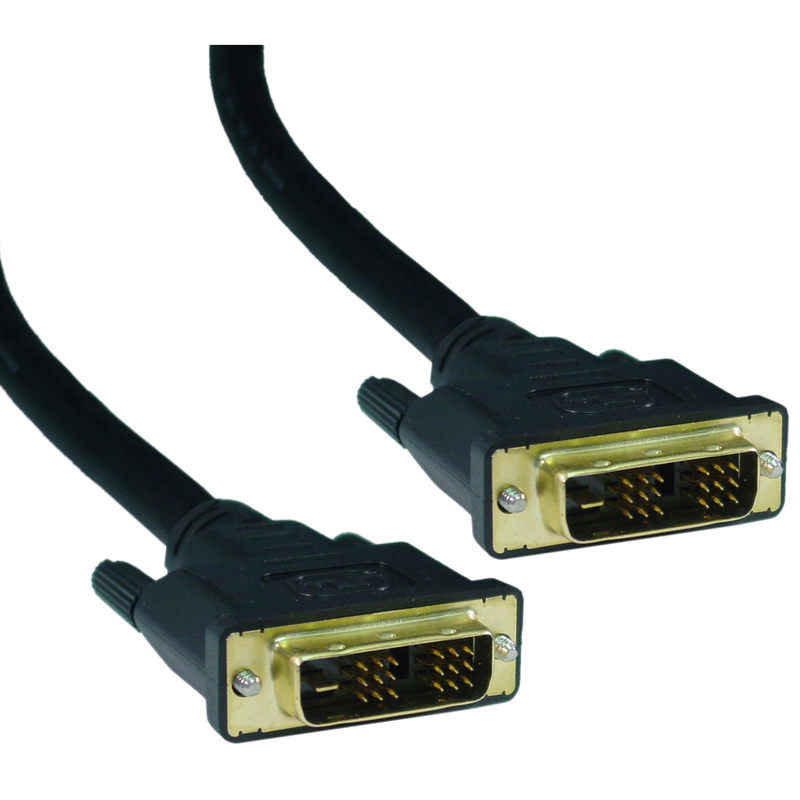 This DVI cable features foil and braid shielding and 24 AWG (American Wire Gauge) conductors for a high quality video signal for your display(s).